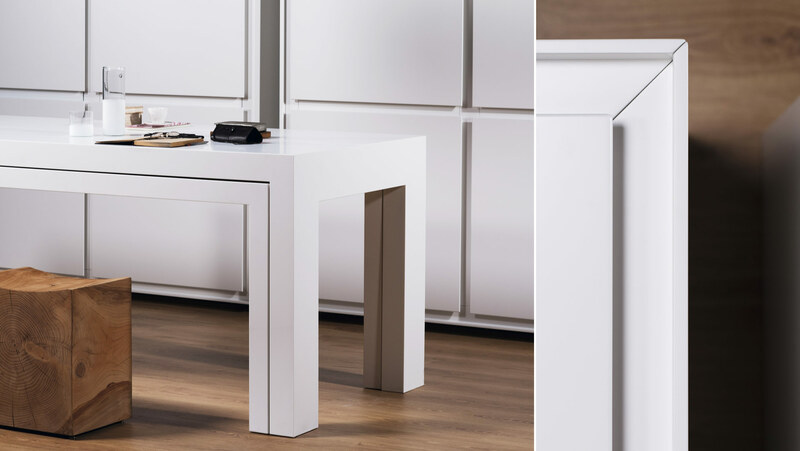 A kitchen that is not a kitchen, a worktop that is also a desk, a showroom bench, a meeting table, but if need be…a kitchen again! A product that stands out for its absolute versatility and eclecticism, that is multifunctional, shapeshifting and unconventional: it’s Off Kitchen. It’s a kitchen with a friendly, charming character, that attracts young creative people that are eager to work but that use their workspace also as a convivial, ironic and informal space. 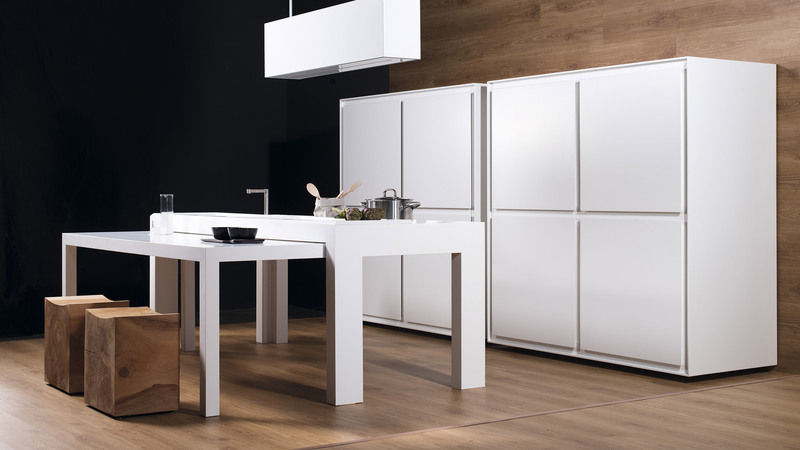 That is how one must experience Off Kitchen – a series of elements hiding a complete kitchen, a table, a transformable worktop with legs concealing innovative technology which allows it many different settings. 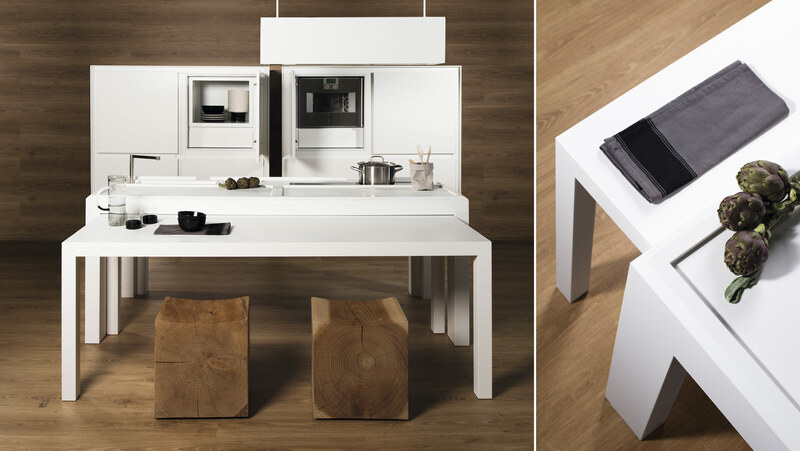 A modern and dynamic kitchen, with a strongly minimalistic imprint, but that makes it a fun and informal experience thanks to“magic”gestures that will make new solutions appear and disappear again. 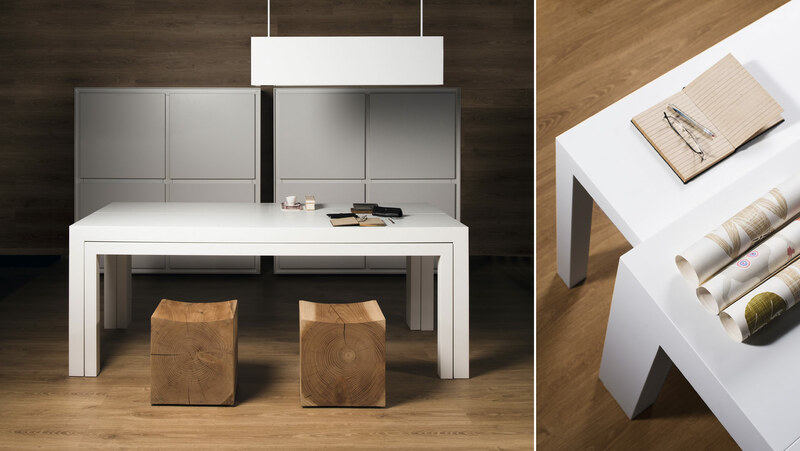 Off Kitchen was conceived and designed by Daniele Bedini. Are you an architect, a dealer or a journalist? Register to the reserved area and download materials, unreleased images and a series of exclusive contents that describe this TM Italia kitchen model.